For the first time the International Uranium Film Festival of Rio de Janeiro was invited to be part of Latin America's most important environmental film & video festival - the FICA 2017 in the historical Goiás City, the ancient Capital of Goiás State in Central Brazil. Between June 20 and June 25 the festival screened more than a hundred films with an audience of about 3,400 people - 21 Percent more than 2016. 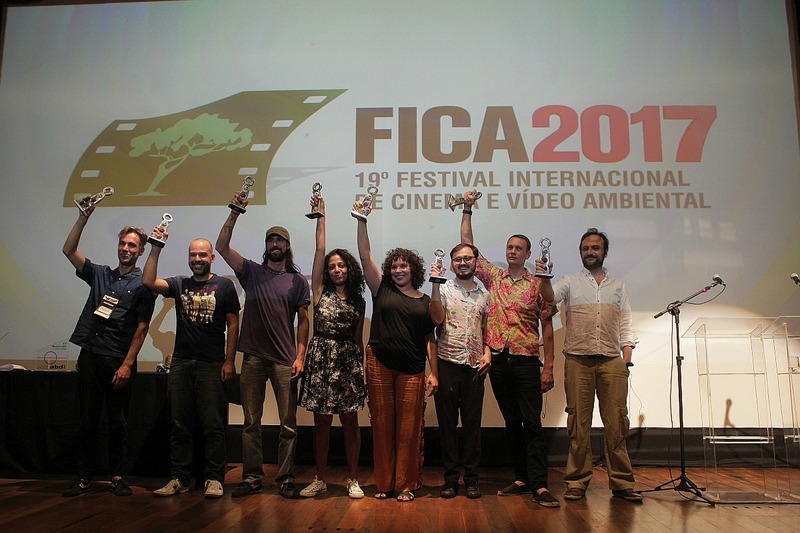 One of the great winners of the FICA 2017 was "Algo do que Fica" (Something that stays) by young Brazilian director Benedito Ferreira. His fiction is a sensitive reflection of Latin America’s worst radioactive accident with Caesium 137 that happened exactly 30 years ago in Goiânia, the new capital of Goiás. In addition an Honorary Award was given to Brazilian director Luiz Eduardo Jorge for a life’s work in filmmaking and especially for his documentary about the victims of the Caesium radioactive accident of Goiânia "Césio-137: O Brilho da Morte" (Caesium 137 - The Death Shine) that was selected by the Uranium Film Festival for the screenings in Goiás. Unfortunately Luiz Eduardo Jorge died only three weeks before the festival on May 27th. For that his son who also composed the music of the film received the award in the name of his father. "The partnership between FICA and the International Uranium Film Festival (IUFF) has a future" resumes Uranium Film Festival's executive director Márcia Gomes de Oliveira. "The question of nuclear power is an important environmental issue. FICA is the biggest and most important environmental film of Latin America and the IUFF is the world's biggest and most important film festival about nuclear power and radioactive risks: seems to be a perfect match." After Goiás the International Uranium Film Festival is now travelling for the sixt h time to Berlin in October 11th to 15th. Expect new eye-opening nuclear movies including films about Brazil's Caesium 137 accident.